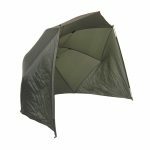 Bivvy Brolly Fishing Umbrella – the new umbrella bivvy shelter from Rob McAlister Ltd. 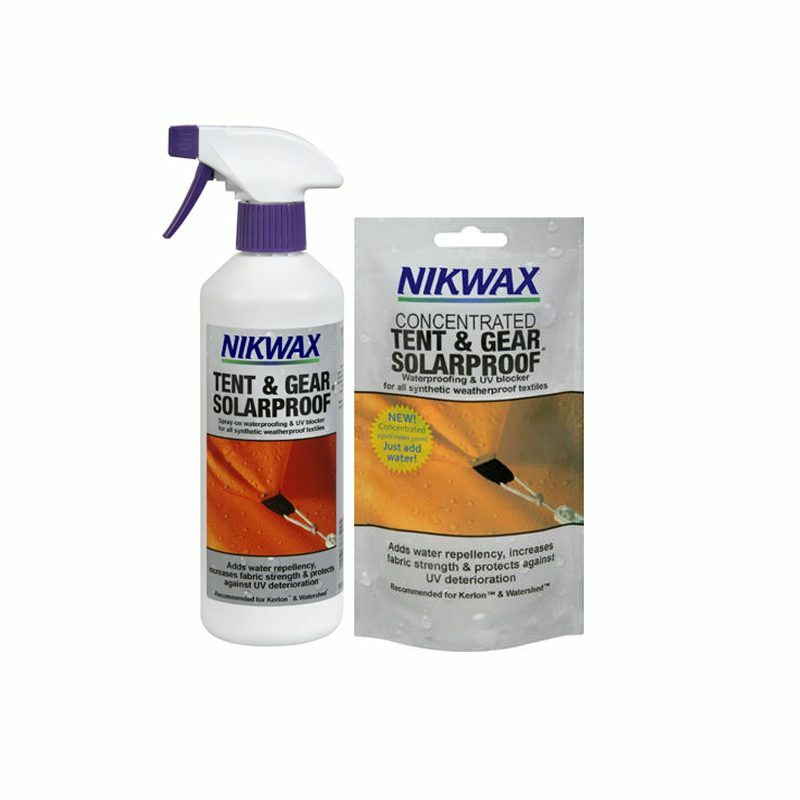 Ideal for the riverside, beach, garden or picnics. · Regattas …. or just out and about, enjoying the countryside. 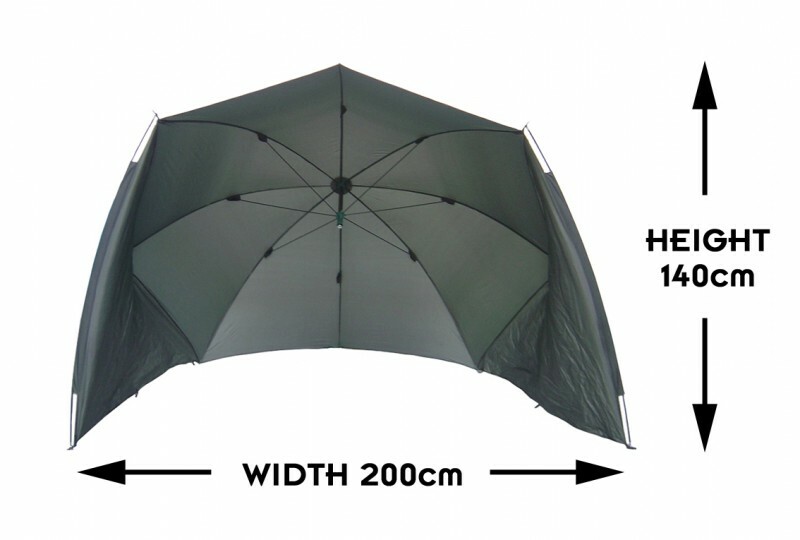 The big 8 panel frame and ribs are made using a substantial 4mm steel rod ensuring strength and longevity. It uses an adjustable length, removable black steel central pole with variable tilt mechanism and ground spike. 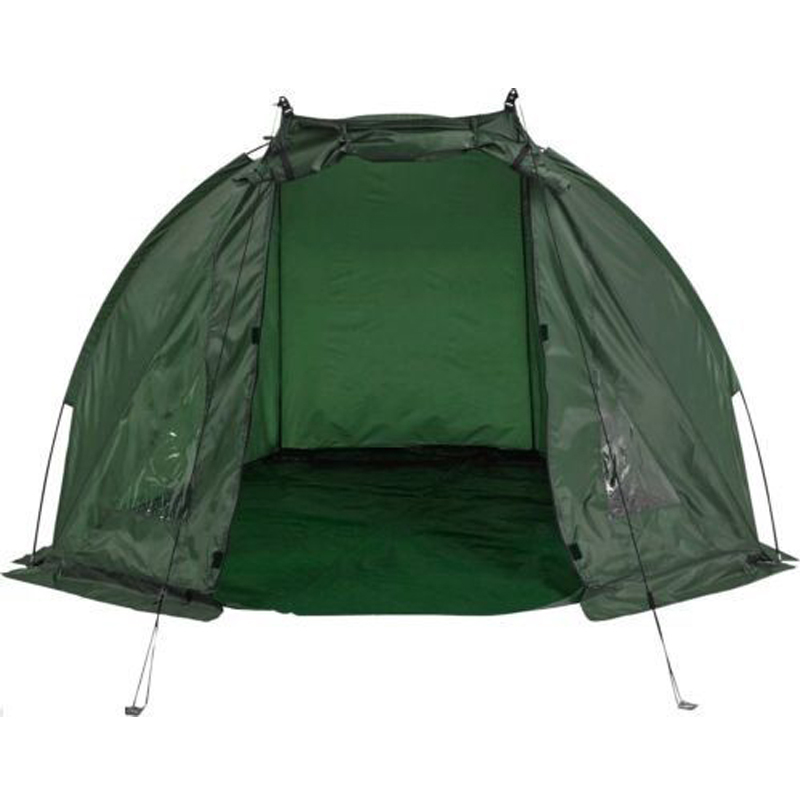 You can leave it fitted for extra support or unscrew it altogether to give you more space inside. 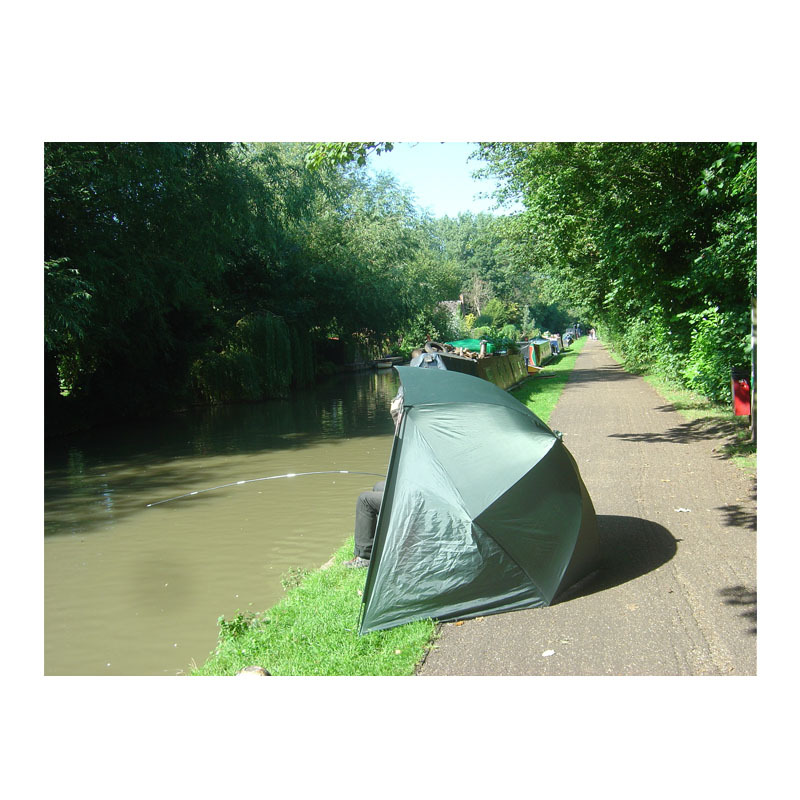 We recommend you have the pole attached for opening, though it will work fine without. 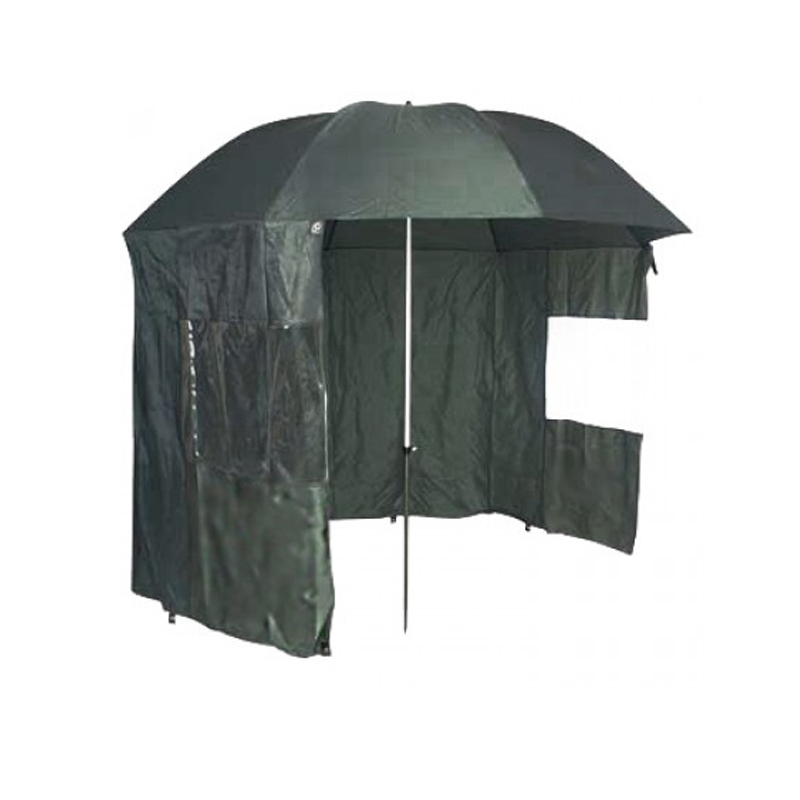 Big wraparound sides on the Bivvy Brolly Fishing Shelter help keep the rain out. These come with strong, light fibreglass uprights and have moulded fittings for guy lines at the top, pegs at the bottom. A moulded top piece is provided for you to attach an additional guy-line in bad weather, if necessary. It all comes in a matching carry bag. 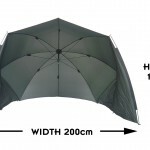 Worked perfectly for my fishing trip, protected me from the rain and wind. Looking forward to many years of good service from it. Thank you for sorting out the delivery problem caused by my stupidity giving you the wrong address! 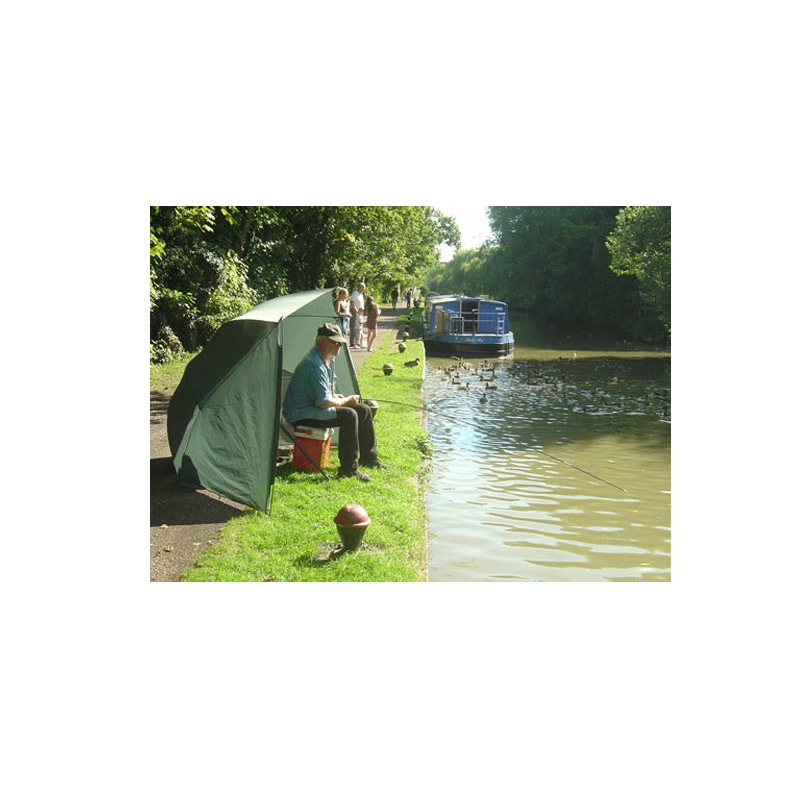 I love the outdoors and going fishing gives me great pleasure. But I hate the rain. This was bought for me as a Christmas present by my daughter. I’m finding it a very useful thing to keep in the boot of my car with the rest of my tackle. Now if it starts to rain I don’t have to pack up and go home. Also, I think I might be catching more fish. Do you think its the rain that brings them out? 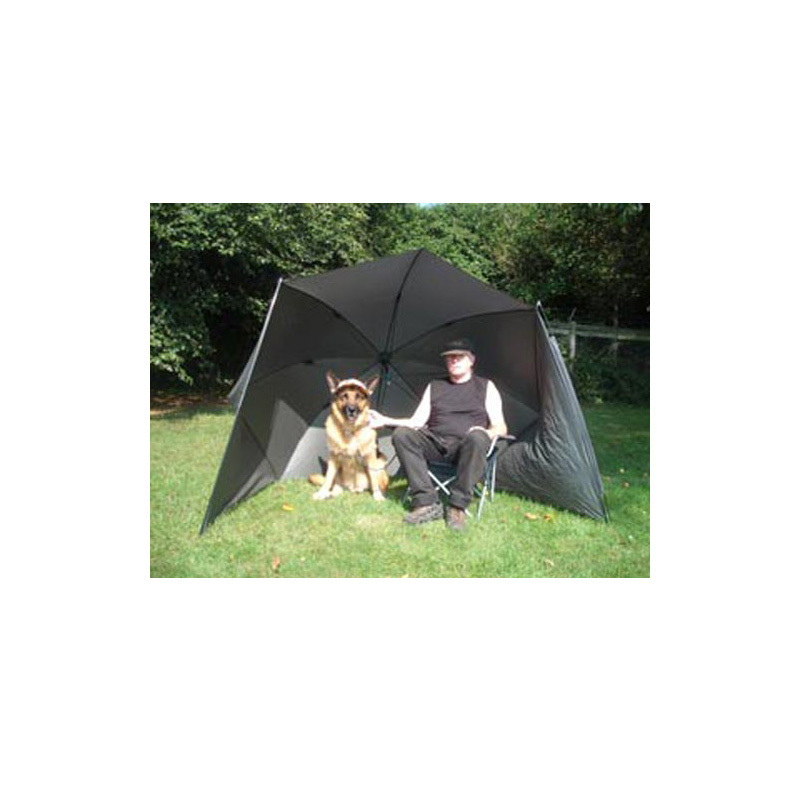 This is a great product, kind of a halfway house between an umbrella and a bivvy fishing tent. What I like about it is just how quick it is to set up. 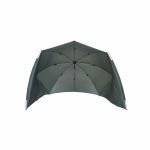 Great for keeping dry and the wind off but have also used it as a sunshade.